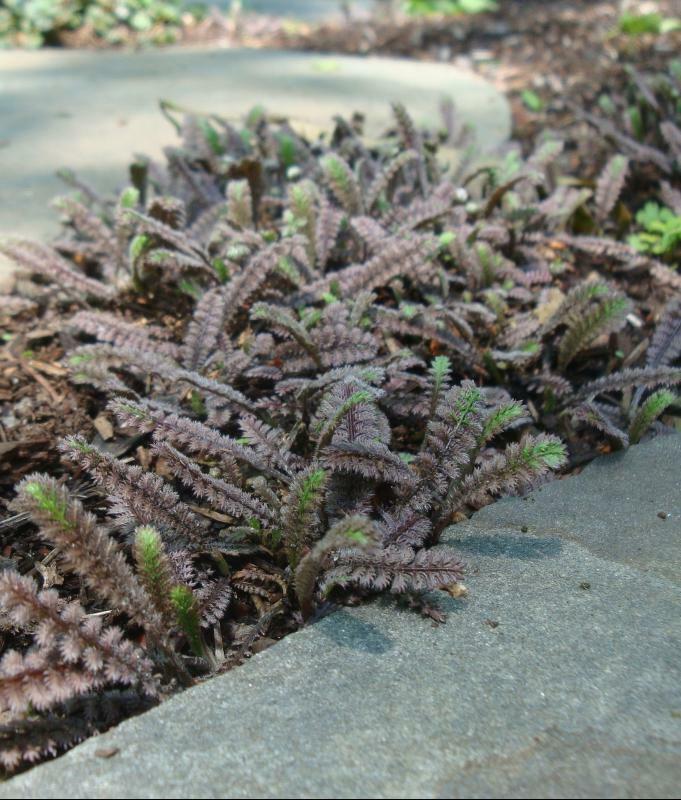 Leptinella 'Platt's Black' is a delightful ground covering perennial. 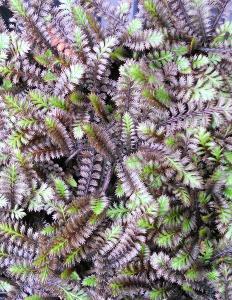 Evergreen with finely-divided, purple-bronze and dark -green foliage which is fern- like in appearance. Small yellow-green flowers in spring to summer, although this plant is grown for the very attractive foliage. Prefers humus rich soil, in moist but well drained soil. Hardy. Height 5cm, spread 0.4m.